There is nothing more frustrating than wanting to go to an event such as a concert or a play or even a movie and not having anyone to go with. Worse yet is trying not to drag or coerce a friend to accompany you who really doesn't want to go at all. 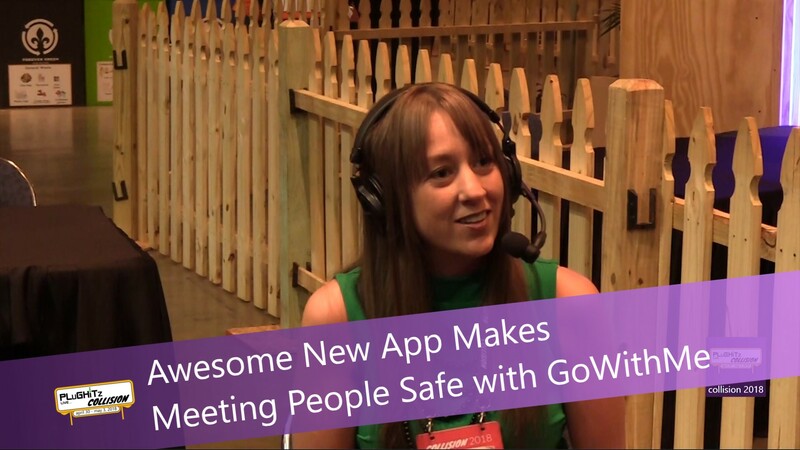 GoWithMe is an event-based app specifically designed for finding someone to accompany you through a common interest. The catalyst for this creation came about when Amanda Denatala, the company's founder, had her 17-year-old daughter looking for a new group of boys for her to choose from to date. In an effort to try to solve some of the issues of security and catfishing now found in today's society, she shared the request with her husband. He suggested that they either said no directly, knowing that she would probably do it anyway. The other option was to find a way under their parameters. The daughter agreed and found herself struggling with all the questions asked of her. She felt like she was looking for a husband! It showed that there was a big gap in the market. Amanda needed to fix it as she had 3 more children younger than her oldest daughter. It was a scary world that they would be facing as they grew up especially since most people lie on their profiles. After much research and reading, she just started seeing what worked. Instead of feeling inadequate about other profiles compared to hers, she tried posting that she had tickets to a certain concert and hoped someone would respond. They did and her idea was born. This app can also be used for finding a golf partner or a group to play cards with as it can be adjusted for multiple people. There is a built-in security feature that tracks you. When the event is over you let the app know the event is over and that if you don't, it may think you are in a dangerous situation. It will text you to see how you liked the event. If you don't respond, it will send a text to a pre-designated emergency contact. It can connect to Facebook, Instagram, Snapchat or Google. The event tickets have 3 different options: you pay for tickets, which is called paid, or stag which is like Dutch treat or sponsored which is like asking someone to pay for the tickets because you have no money. The app is available now. Check out the company website for more information.